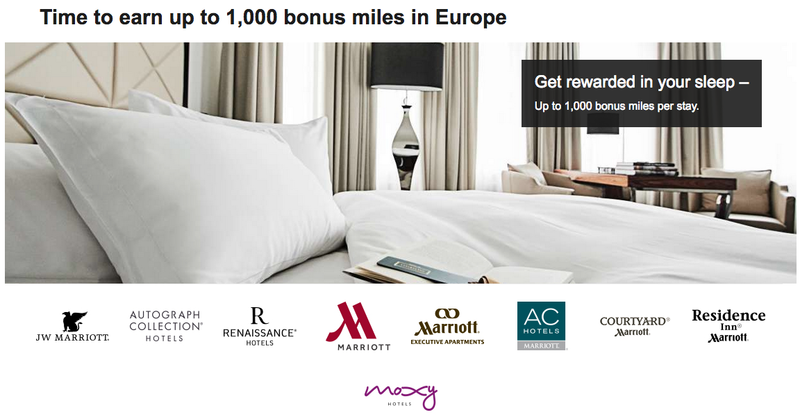 Here is an offer we have seen before from Marriott, its the airline mileage bonus for stays at their locations in Europe. Depending on the brand you stay at you’ll earn an additional bonus of 500 to 1,000 miles. Hotels, Marriott Hotels and Marriott Executive Apartments.